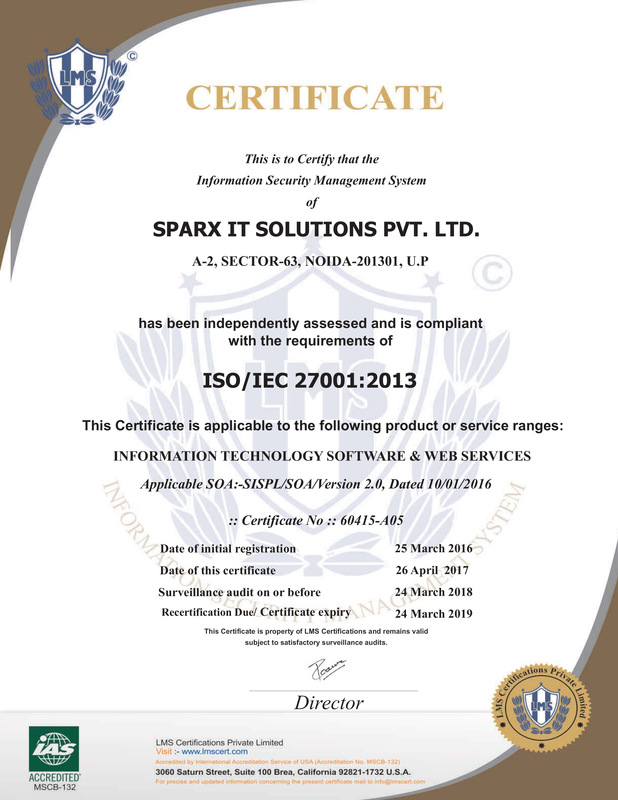 In the race of web development lot of distinct markup languages are cantering and attempting to defeat each other in the contest. However, HTML5 has landed its foot in the family of markup languages and very interestingly has been concord as the most advanced and robust platform in context of Web development. 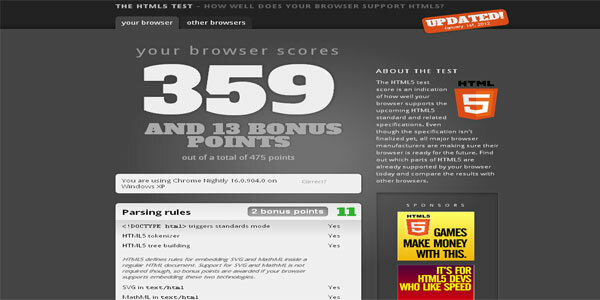 This HTML5 has provided a new dimension to optimize your website more faster, lighter and interactive. You will be pleased to know about integrated stunning and impressive features which accelerated its power. Those features includes Easier Multimedia content, New Graphics Library, Drag & Drop features, Geo-location, Web Notification Pop-ups and miscellaneous. 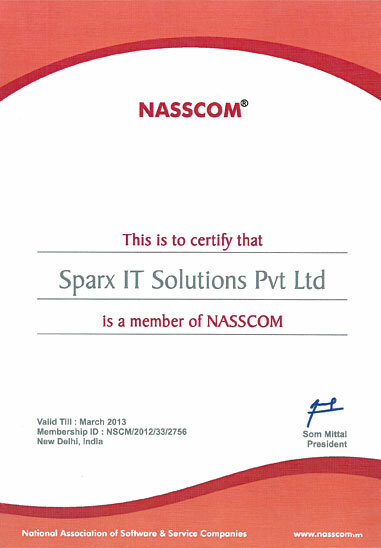 Therefore, now most browsers used to make support for website developed on HTML5 based platform. Basically, HTML5 was adopted by a Norwegian Software Company whose Headquarter is in Oslo, Norway as well as proposed by Opera Software. This company is renowned for its web browsers from Opera family which incorporates more than 220 million users through out the globe. However, in account of above said advanced feature ‘coding in HTML5’ has proved to be real-time fun as well as literally opened a new window and provide a robust platform for web-development. Furthermore, HTML5 has been concord as an elegant and most effective markup language by developers and designers too in context of transforming the website more user-friendly, functional, delivering faster video as well as developing web applications at desktop level. 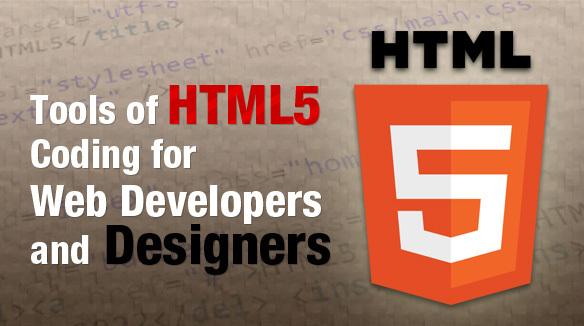 Therefore, I am going to present Tools of HTML5 Coding for Web Developers and Designers in coming next section of this post which will bestow an amazing experience and make you more delighted. So go ahead through Tools of HTML5 Coding for Web Developers and Designers and take a tour about simplifying HTML5 coding in account of these tools. 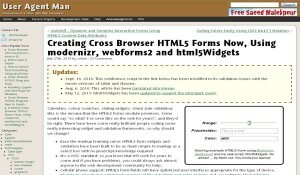 This Cross Browser HTML5 Forms is very nice and affable tool for HTML5 coding. This HTML5 forms module flaunts color swatches, calendars, client side validation and sliding widgets. 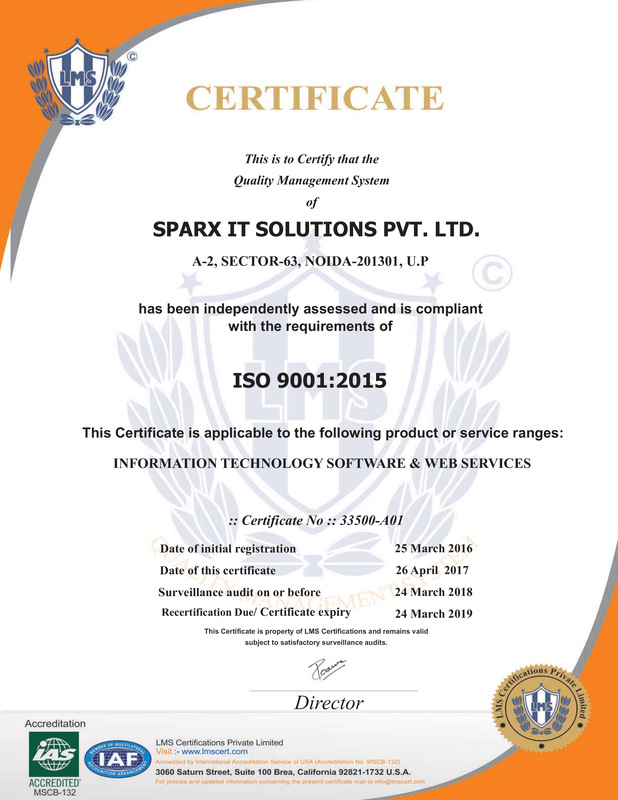 Also, it includes various advance feature which allows to ease the markup learning curve, it is W3C standard, Cellular phone support, supported by web development tools like Dreamweaver and Aptana. 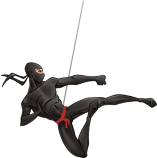 HTML5 Demos make your HTML5 coding task more easier and simple. However, it used to show HTML5 examples and demos along with source code which is very affable to implement them in your own html5 website. This HTML5 coding tool is literally very elegant which make you more ease towards building your own HTML5 based website. 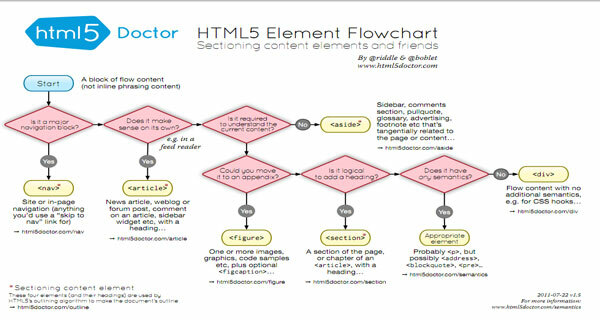 This Element Flowchart seek to help you towards getting the distinct sectioning elements for HTML5 flowchart. This HTML5 Reset tool is equipped with a simple set of HTML5 and CSS which best practices lead to achieve your HTML5 project just like a cup of tea. This HTML5 Tracker is an elegant tool which make you stay connected with HTML5 as well as keep you updated by means of providing latest revisions. Initializr is a very useful and worthy tool which is used to create clean customizable template on Boilerplate platform. However, this become very simple, easy and affable process as well as might be very helpful for you towards starting a new HTML5 project conveniently in mean time. 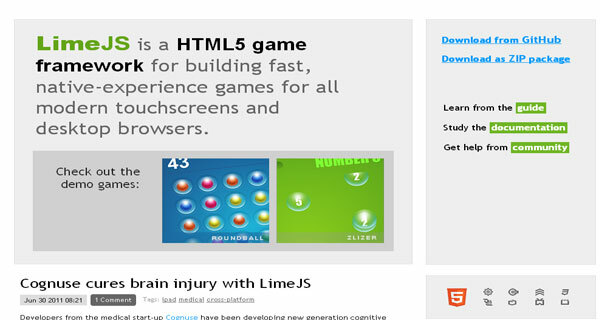 LimeJS is a very captivating and impressive HTML5 coding tool as well as game framework. It is very efficient in building fast, native-experience games for almost all modern desktop browsers and touchscreen devices. 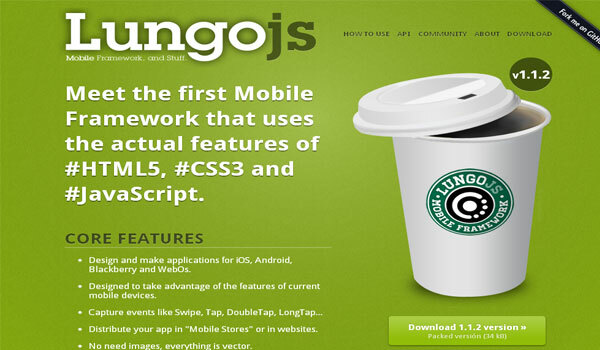 This impressive LungoJS HTML5 coding tool equipped with several distinct features including the capacity to capture events like Tap, Double or Long tap, Swipe, No Webserver required, Full customizable and able to build games, applications, catalogues and every thing you desire and miscellaneous. 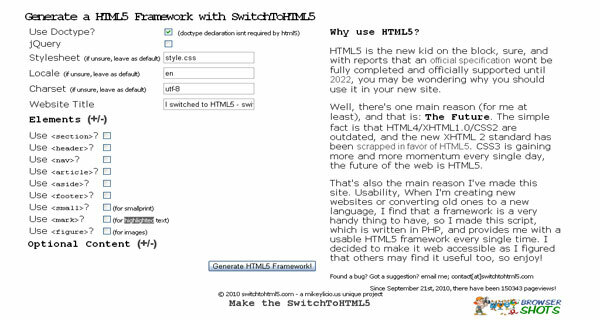 This Switch2HTML5 tool is very handy and user-friendly. It allows users to create a HTML5 framework in very easy and simple manner. Just designate elements you want to include in your Framework and accomplished. 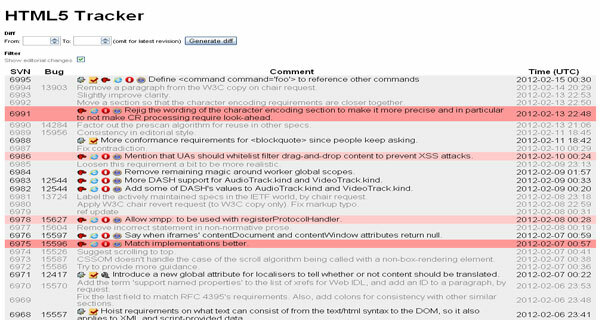 The HTML5 Test is quite very worthy to analyze whether your current browser supports HTML5 or not. 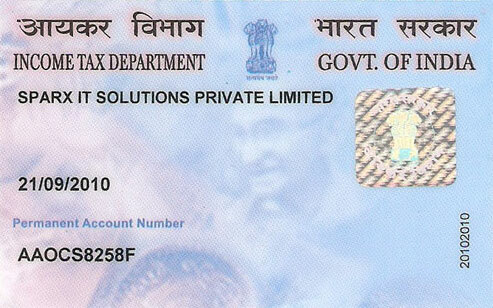 Moreover, this tool will make available a complete report for you stating about audio, video, canvas and etc. capabilities of your current browser. Hopefully, Tools of HTML5 Coding for Web Developers and Designers post will definitely make you amazed and allured as well as make you more delighted conveying a pleasant feel. These simple HTML5 coding tools will be highly useful and helpful to build a more user-friendly and captivating website as well as reduce the efforts towards web-development process.